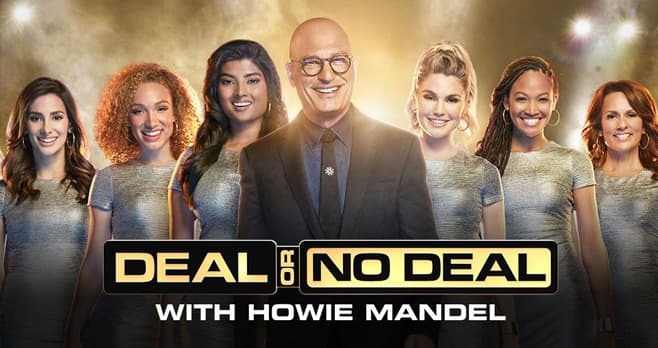 On March 27, enter the Deal Or No Deal Lucky Case Sweepstakes by watching Deal or No Deal to view the lucky case numbers. Then, tweet with one (1) Lucky Case Number guess, the hashtag #DONDsweepstakes, and tagging @DealNoDealCNBC for your chance to win a $5000 cash prize. The Deal Or No Deal Lucky Case Sweepstakes is open only to permanent, legal United States residents who are physically residing in one (1) of the forty-eight (48) contiguous United States or the District of Columbia (excluding Alaska, Hawaii, Puerto Rico, Guam, the Virgin Islands and other United States territories), and who are eighteen (18) years of age or older as of the start of the Sweepstakes Period. The Sweepstakes begins on March 27, 2019 at 9:00 P.M. ET and end on March 27, 2019 at 10:00 P.M. ET. The grand prize consists of $5000. Visit dealornodeal.cnbc.com/sweepstakes to enter and see Official Rules for details.